How Well Do You Know Walt Disney World’s Epcot? EPCOT opened to the public 11 years after Magic Kingdom’s Opening Day. The second theme park at Disney World offers different rides—some thrilling and some that are very mild—interactive and hands-on attractions, shows and more. With EPCOT’s 40th anniversary just around the corner, we thought it’d be fun to take a look at the park and see just how much you know about it. Here are a few questions and answers to get you started. 10. What does EPCOT stand for? 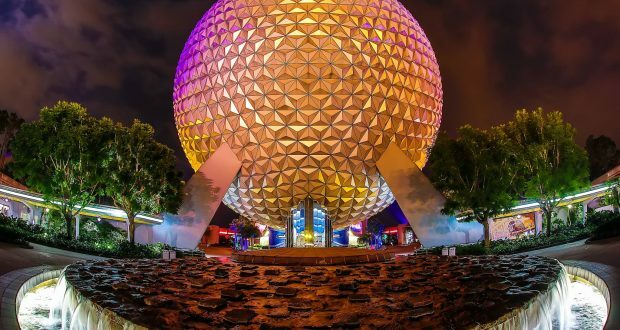 EPCOT is an acronym coined by Walt Disney himself that stands for Experimental Prototype Community of Tomorrow. 9. What can kids enjoy at EPCOT? Everything! Like every theme park at Walt Disney World, EPCOT offers Guests a myriad of attractions, rides, shows and experiences for the whole family. Kids can learn about the development of communication over time at the Spaceship Earth attraction. They can sample sodas and fruit drinks from all over the world at Club Cool, presented by the Coca-Cola Company. Let them create their own virtual concept car at Test Track presented by Chevrolet, after which they can board a vehicle for a thrilling ride to see how their designs perform. At EPCOT’s World Showcase, kids can learn about the customs, culture and cuisine of 11 different countries from around the globe. And that’s just the beginning! 8. What special events can we enjoy throughout the year at EPCOT? Any day at Disney World makes for a very special experience, but at EPCOT, there are special events and festivals that take place throughout the year that will make for even more special memories. The International Festival of the Arts begins in January and celebrates the performing arts, visual arts and arts and crafts. Every spring, EPCOT hosts the International Flower and Garden Festival, followed by the International Food and Wine Festival in the fall. The year ends with the International Festival of the Holidays, which begins in early November and ends on December 30. 7. How did they build Spaceship Earth? The construction of Spaceship Earth—the giant geodesic sphere at the front of the park—took 26 months from its beginning to its completion. It was considered an engineering marvel because of its size and everything that went into making sure the giant “golf ball” could stand off the ground and remain supported without the ground or the structure sinking. Its six legs can be deceiving, as they give the appearance of upholding the giant sphere. In reality, however, it would be impossible for the legs to hold up such a load. Because of this, the six legs were driven deep into pile groups nearly 160 feet under the earth’s surface. Hexagonal trusses were then built at the top of the six legs to create a “table” or platform. These trusses bare the weight of the structure and thus support it. Without those trusses, the six legs would have buckled under the weight of the giant sphere. The upper 75% of the sphere is supported by the platform of trusses, and the lower 25% of the structure is simply suspended from the platform. Its construction was quite the engineering feat indeed! 6. Which restaurants at EPCOT are worth a dining reservation? There are several different restaurants at EPCOT—both quick-service and table-service venues. And if you’re looking to book a new place for dinner while you’re there, there are many great ones from which to choose! San Angel Inn at the Mexico pavilion on the World Showcase serves authentic Mexican cuisine in a beautiful setting designed to look like an outdoor patio on the river in the evening. Celebrate Oktoberfest every day of the year at Biergarten inside the Germany pavilion. The venue serves an all-you-care-to-enjoy German buffet and hosts a live show every night. In the Great Britain pavilion, you and your family can dine at the Rose and Crown Dining Room, or try Le Cellier Steakhouse in the Canada pavilion. If you like seafood, The Coral Reef is a great place for lunch or dinner. It’s located next to The Seas with Nemo and Friends pavilion. 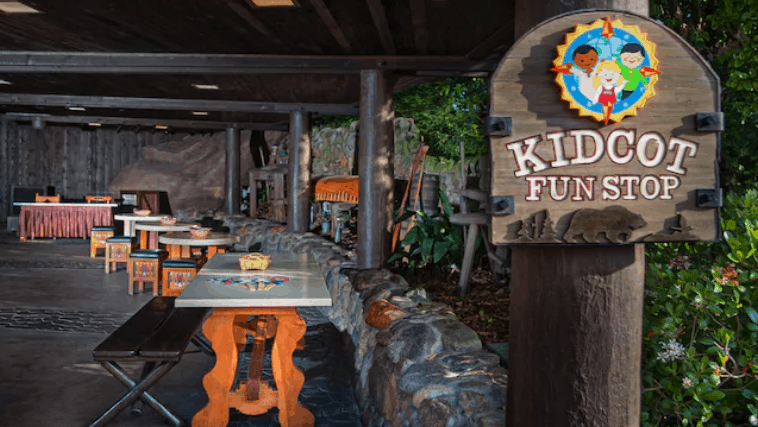 Book your table by calling (407) WDW-DINE or via the My Disney Experience app. 5. Why was Ellen’s Universe of Energy closed? In 1996, Ellen’s Energy Adventure opened inside the Universe of Energy Pavilion on the east side of Future World at EPCOT. The attraction starred Ellen DeGeneres and Bill Nye the Science Guy. Game show host Alex Trebek also had a part in one of the films in the attraction. The attraction used a combination of live-action films and animatronic dinosaurs to present a light-hearted look at energy, sources of energy, how energy is produced and how it is harnessed. After nearly 21 years, the attraction closed on August 13, 2017. But the space will not remain empty. 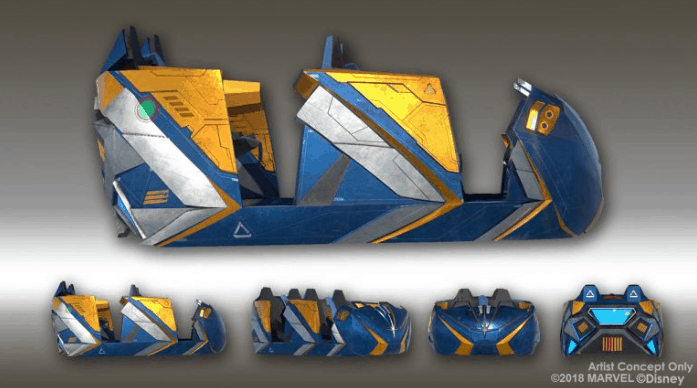 A new Guardians of the Galaxy coaster is currently under construction in the pavilion and is said to be finished and open to Guests in time for Disney World’s 50th anniversary in 2021. 4. If I only have three days to spend at Disney, tell me why I shouldn’t skip EPCOT. EPCOT has a unique feel to it—different from the other theme parks at Disney World. It’s the one park that gives Guests the opportunity to experience the amazing aspects of different cultures and countries. The park also boasts unique presentations that are both educational and entertaining. Where else can you learn about the history of communication by boarding a time rover, encountering a woolly mammoth, seeing Michelangelo paint the Sistine Chapel and watching Steve Jobs create personal computer? Sea Base at The Seas with Nemo and Friends pavilion gives Guests the chance to get up close and personal with over 4,000 species of marine life. Do you really want to skip all of that? 3. Which characters can we meet at EPCOT? Contrary to what you might think, you can meet lots of Disney characters at EPCOT! In Future World, you can meet Pluto at Legacy Plaza West, just inside the park gates. You can also say hello to Mickey, Minnie and Goofy at the Character Spot. Big Hero 6 fans can meet Baymax at Hiro’s Workshop in Future World, and Joy and Sadness from Disney/PIXAR’s Inside Out meet Guests at Headquarters. 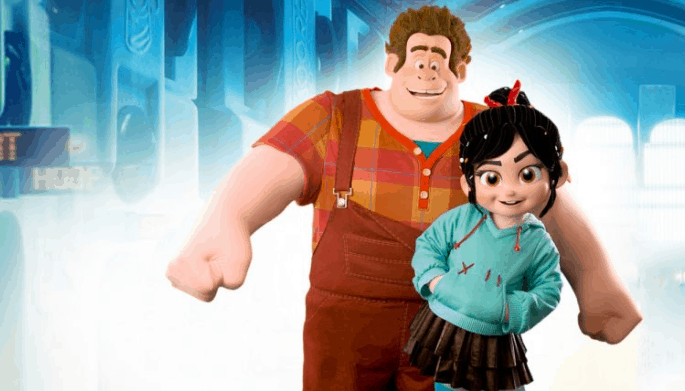 Right now, you can even meet Ralph and Vanellope from Ralph Breaks the Internet at Innoventions West. On the World Showcase, Daisy Duck meets Guests near Showcase Plaza, and Donald meets Guests in the Mexico pavilion. Around the Showcase, you can meet Princess Anna and Queen Elsa in Norway, Snow White in Germany, Mulan in China, Belle in France and Alice from Alice in Wonderland and Mary Poppins in the United Kingdom pavilion. You could spend the whole day just meeting characters at EPCOT! 2. Is there a nighttime spectacular at EPCOT? Yes! IllumiNations: Reflections of Earth is EPCOT’s nighttime spectacular. It is presented nightly on the World Showcase Lagoon. The show lasts approximately 15 minutes and is visible from anywhere around the World Showcase where you have a clear view of the water. Disney World spends a whopping $25,000 per presentation of this nighttime spectacular! IllumiNations tells the story of Earth in three parts: “The Earth is Born,” “The Triumph of Life,” and “Hope for the Future.” See balls of fire launched 60 feet in the air as the story is told, as well as a 350,000-pound globe used as a video display system. Because there are so many good places from which to watch this nighttime spectacular, you can’t go wrong no matter where you choose to sit. 1. 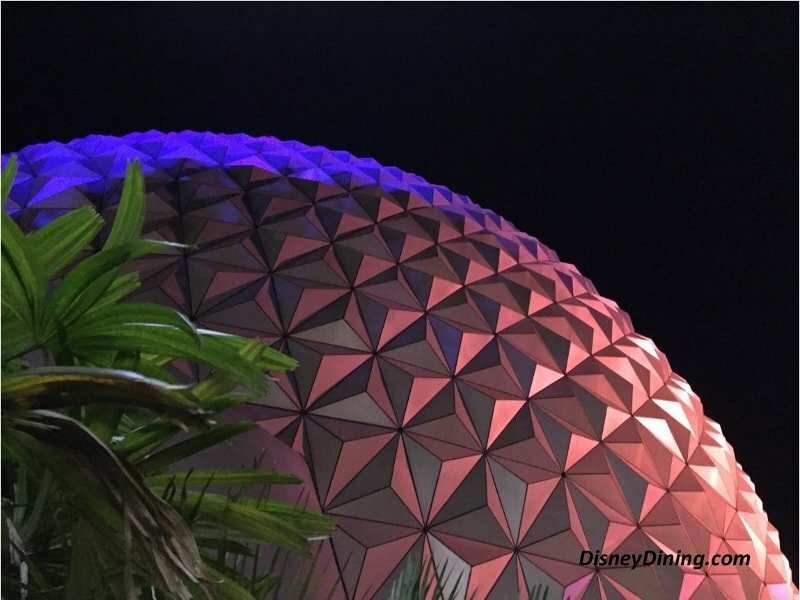 What’s on the horizon for EPCOT? There are several exciting things coming to EPCOT very soon! The Guardians of the Galaxy coaster will be unveiled where the Universe of Energy pavilion now stands, and a brand-new attraction inspired by Disney/PIXAR’s Ratatouille is in the works in the France pavilion, as is a new sing-along inspired by Disney’s Beauty and the Beast. 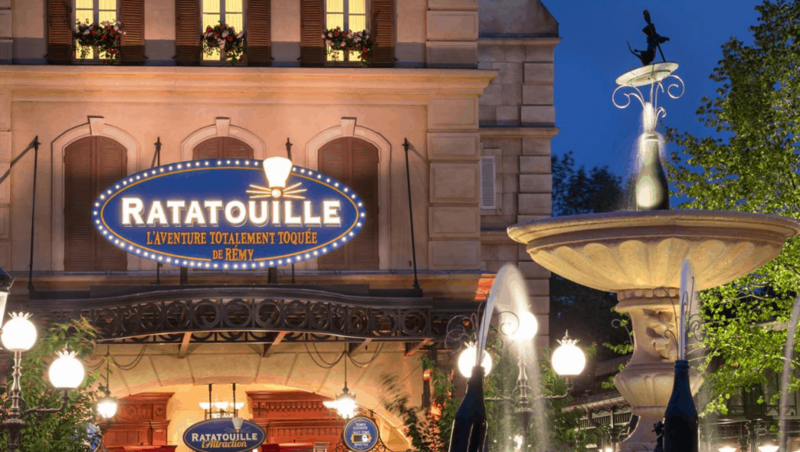 Later this year, a new nighttime spectacular will replace the Illuminations show. The future of EPCOT looks very bright indeed!